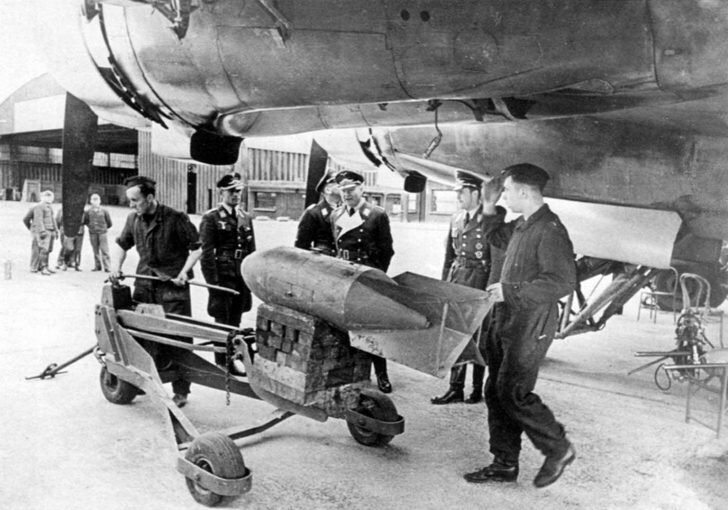 Loading bombs SC-250 (250 kg) in Focke-Wulf Fw.200C “Condor” bomber from KG40 (40th bomber group). The total bomb load of the Condor was up to 2,100 kg of bombs in a combination of 2 × 500 kg, 2 × 250 kg and 12 × 50 kg. The Battle of Britain.